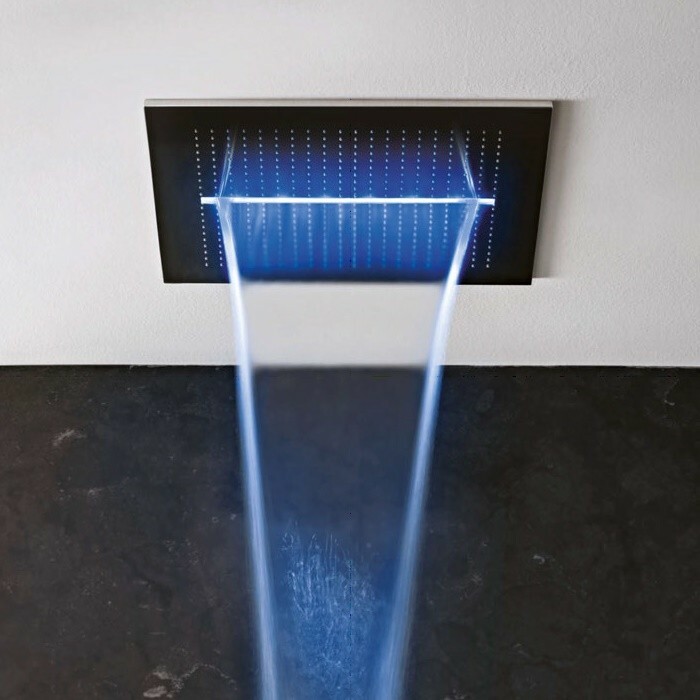 Waterworks and lights envelop the person, the pleasantness of the showering moment is lit up with the colour of emotions. 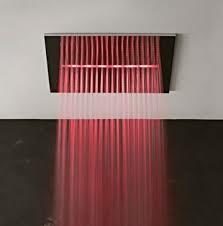 The rain is one luminous mist like impalpable water, and the changing colours is like a desirable rainbow. 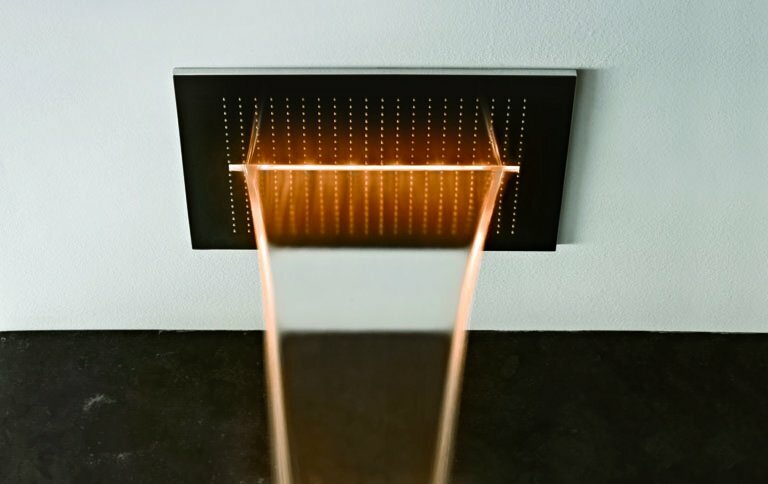 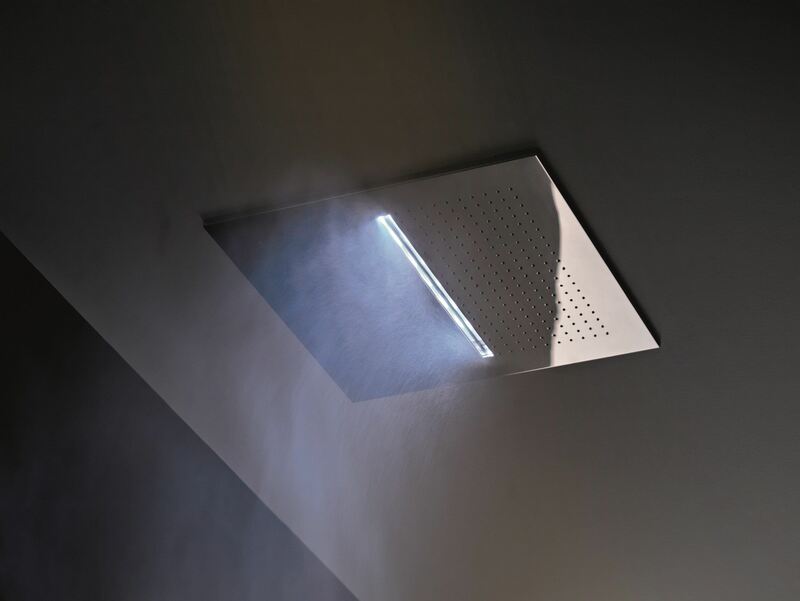 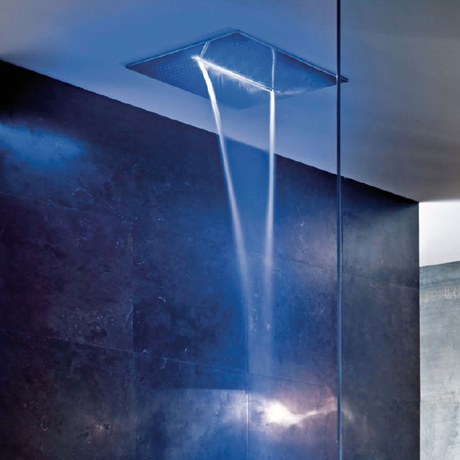 ACQUA ZONE: ceiling shower head with rain and waterfall. 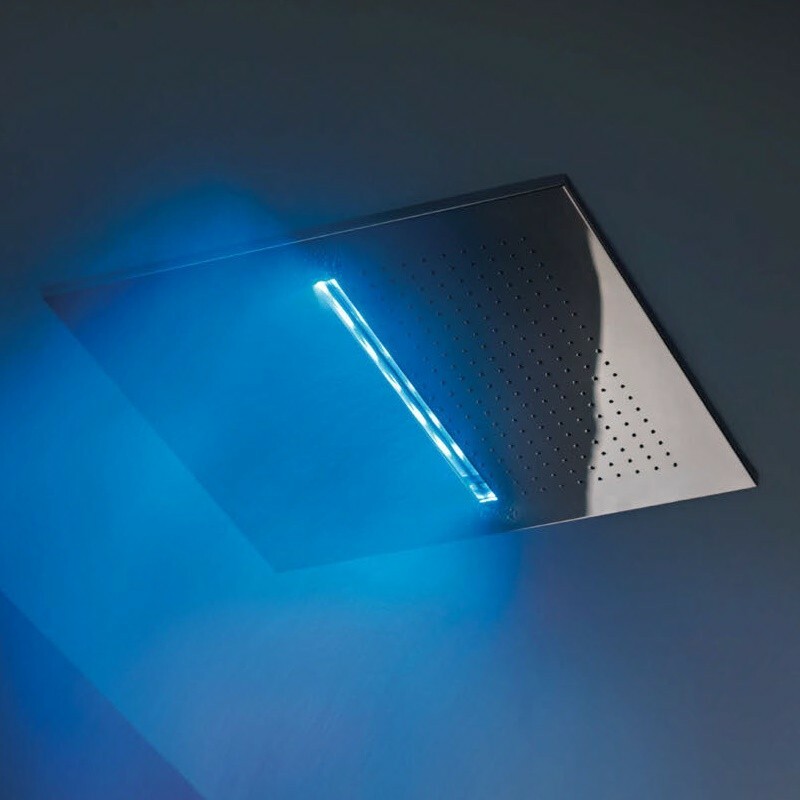 ACQUA ZONE DREAM: new generation ceiling shower head, with electronic controls and six different moods of water and light. 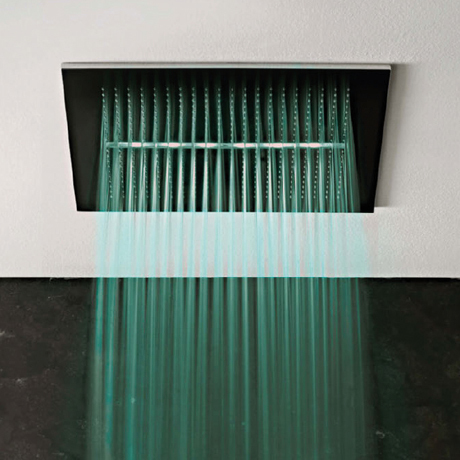 Central shower head range from Crosswater. 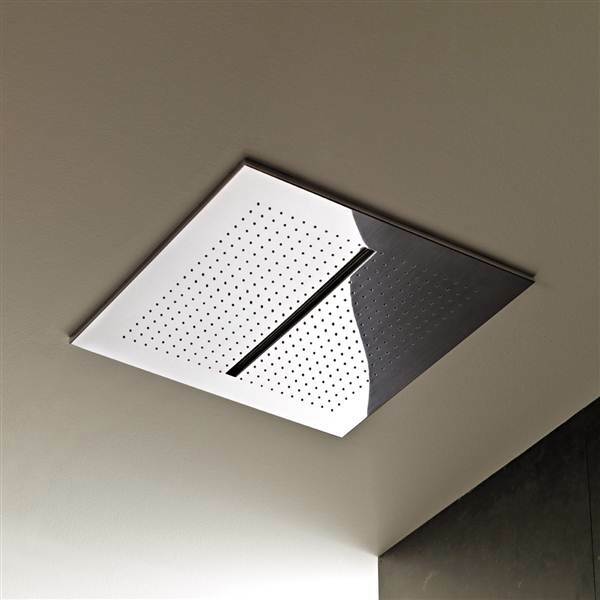 Stainless steel AISI316L adjustable shower head with rain jet.